Taking the stage: 500 Startups Miami’s Batch 1 for Demo Day. Here’s to many more. Fitpal, of Bogota, is a subscription-based fitness passport for Latin America and a management system for gyms. The startup has just signed a contract with largest health insurer in Colombia. Apptite, from Sao Paulo, is a marketplace of homemade and hand-crafted food delivered to your doorstep, empowering micro entrepreneurs and independent chefs to sell their meals directly to their customers. Yalochat , of Mexico City, is a conversational AI that builds relationships between companies and their users in emerging markets. 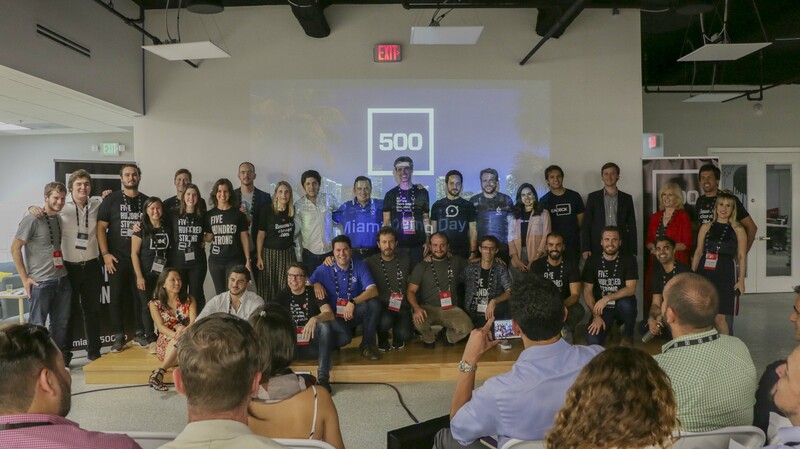 What these startups all have in common is that they were all part of 500 Startups Miami’s first Demo Day at its 500’s Miami offices. What was 500 looking for in Batch 1? Startups from Miami, LatAm and the U.S. Southeast with the potential to transform their industries, said Ana Paula Gonzalez, director of 500 Startups Miami. Fanatiz, also of Miami, is the Netflix for live sports, distributing Latin America’s best soccer games to global audiences. “More than 200 million Latin Americans struggle to watch the sports they love,” said Matias Rivera, CEO and co-founder of his fifth venture. A year ago, Fanatiz launched its easy to use subscription based service starting at $9.99 a month. With 30 percent month-over-month growth, it has 40,000 registered users in 80 countries and is generating $75,000 in monthly revenue. Fanatiz is currently negotiating 150 new content deals and is closing telco distribution partnerships to enable the startup to reach 200 million new clients, Rivera said. 500 Partner Bedy Yang had been coming to Miami for quite a few years, flying in to speak at conferences and taking meetings during layovers. In recent years, 500 began dipping its toe in the market by holding a Pre-Money conference here and a growth marketing accelerator popup at Building.co. “The Miami ecosystem really opened their arms. … Amazing partners started reaching out to us and said stop making this your American Airlines hub and make it your home,” she said at the Demo Day last week. And that’s what they did. Follow Nancy Dahlberg on Twitter @ndahlberg and email her at ndahlbergbiz@gmail.com.